Peter Terian established Rallye Group in 1958 as an imported car service repair garage. Shortly after, George Moss collaborating with Peter acquired their first franchise, Maserati. After growing too large for their Sea Cliff facility, they moved their business to Glen Cove to expand their horizons. 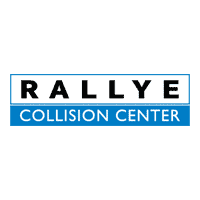 In the past, Rallye Motors has represented Porsche, Peugeot, Saab, DKW, Rolls- Royce and the current franchises of Mercedes-Benz, BMW, Lexus, and Acura. In 1987, Rallye moved to Roslyn where they built a custom-designed facility for Mercedes-Benz and BMW. In 1989, Rallye Motors wanted Lexus to join their family. Chosen from over 1,700 franchise applications in the United States, Rallye was one of 70 that were granted the opportunity to open a Lexus dealership. The facility in Glen Cove was then renovated to accommodate and represent Lexus. Rallye Lexus was officially opened in October of 1989 and has since been honored with the “Elite of Lexus” Award for more consecutive years than any other Lexus dealership in New York. In 1994, Rallye acquired the Acura franchise and more recently, Rallye has since also grown to take on the smart and Sprinter franchises. The future focus points for Rallye are to continue to grow the customer lifecycle, expand through the use of the Internet and technology, and an increase in customer convenience and satisfaction. Rallye Acura is the number one dealer in sales volume on Long Island. The number four volume dealer in the country and the ONLY 13 time dealer of distinction (Presidents Award) winner in the Northeast. Rallye BMW ranked as the 4th largest and number 1 single point dealer in the country. Rallye Lexus is “Elite of Lexus” for 22 consecutive years (The only dealer in New York to do so) and #1 in sales volume in the State of New York. Rallye Motors is the 5th largest sales dealer in the country.